I'd love to try this Busby product - what I really want it to do is even out my slightly scarred and dry skin for my wedding in a few months time. If I start now my skin should be radiant by then. I have a strapless dress and would love it if my shoulders and upper back could be be at their very best. I recently suffered from bed bug bites all over my body including my face that left hundreds of unsightly round dark scar. To cover them up, I had to wear jeans or leggings all the time and put on a full coverage foundation. 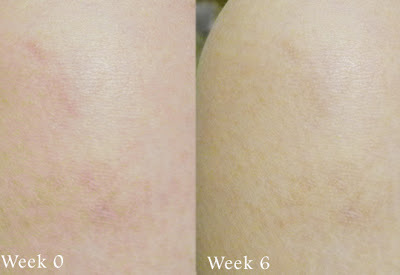 I hope with the help of Busby pure tissue oil, the appearance of my scars would improve. Acne scarring has left me with pigmentation spots, would love to get rid of it permanently! To be perfectly honest, l would use this on the scars l gave myself by self-harming. I feel so ashamed of them everytime l glance at my wrists. I haven't hurt myself in over a year though, which is something to celebrate. If l find a way to make them fade well, l'm going to get a tattoo over my wrist, a little symbol that always helps me keep going. I have a badly keloid scar on my stomach, being a teenage girl this has affected my life and confidence. 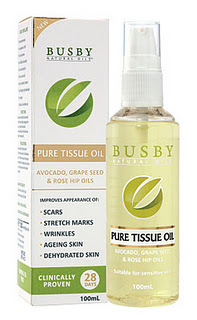 I have just started using busby tissue oil on my scar and have already noticed a slight difference in the tightness of the area around the keloid. I will continue to post about the difference this product makes!